Posted: September 20, 2018 in Features, Who,What,Where & When...? Birrana 274 Ford Hart, Rennmax BN7 Ford Hart and Birrana 274 again- Costanzo won that day but Geoff won the series. In the black helmet at far right on the second row is Ray Winter in the Mildren ‘Yellow Submarine’ still a winner seven years after it first raced in Frank Gardner’s hands in the summer of ’69 Tasman Series. 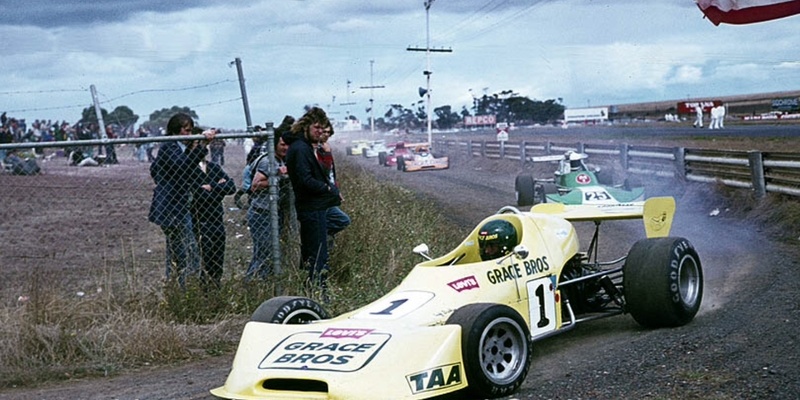 The high water mark of Australian National Formula 2 racing (1.6 litre, DOHC, 2 valve- which effectively mandated the Lotus Ford twin-cam engine- the ducks guts version was the Hart 416B circa 205bhp injected variants) was in 1974 when an infusion of sponsorship dollars from shirt manufacturer Van Heusen resulted in an influx of drivers stepping up into the class and/or acquiring new cars. Guys like Leo Geoghegan, Enno Buesselmann, Bruce Allison, Ken Shirvington, John Leffler, Chas Talbot, Wolfgang Prejawa with Sonny Rajah jetting in from Malaysia and Graeme Lawrence did a round or two from NZ. 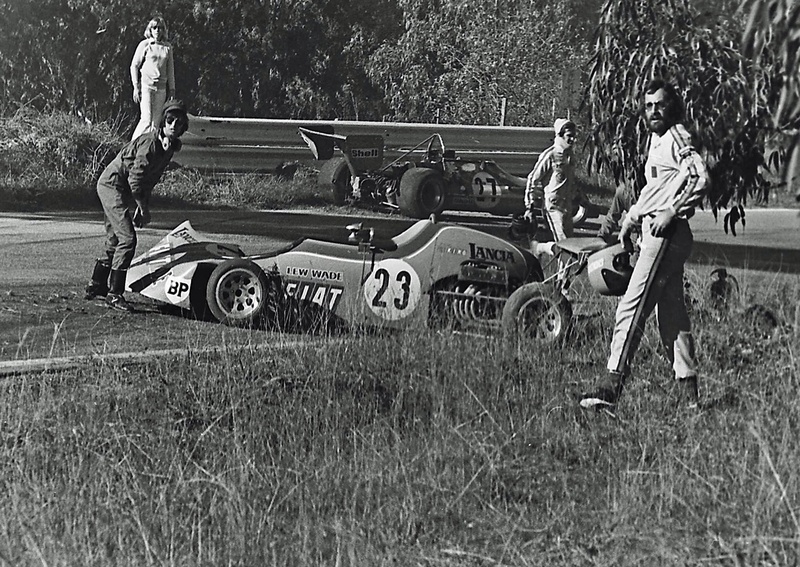 In some cases drivers ‘stepped down’ from F5000- Bob Muir, John Walker, Kevin Bartlett and Max Stewart to name a swag. 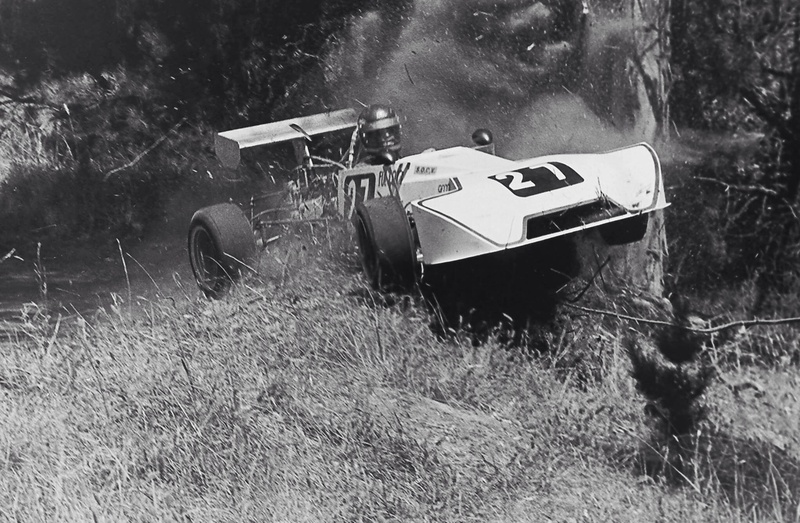 For the sake of clarity Leo was an established ace- having finally won the Gold Star, the national drivers championship he deserved in 1970, he retired and then did a ‘Nellie Melba’ and returned to drive Malcolm Ramsay and Tony Alcock’s new Birrana 272 in mid-1972. An absolute corker of a 1974 series was won by Leo in the ‘works’ Grace Bros sponsored Birrana 274 Ford-Hart in a closely fought battle with the Bob and Marj Brown owned Birrana 273 raced by Bob Muir and Leffler’s ‘tricky-dicky’, superb, variable rate suspension Bowin P8. Predictably in some ways the Van Heusen money ended up supporting ‘taxis’ in 1975 despite the great show put on by the F2’s in 1974. All the same, the 1975 championship was a good one given all the newish cars about. 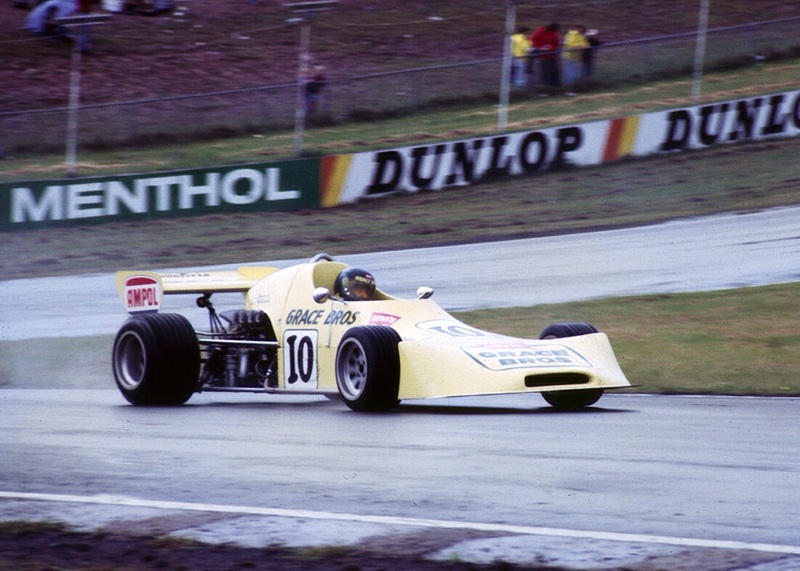 Into late 1974 or early 1975 Costanzo bought Leo’s championship winning car- and in that ’75 season gave his career the shot in the arm it needed after running around in an old Elfin 100 Mono F2 for way too long. I think Alfie did travel to Italy seeking a drive in the late sixties, without success- imagine if he had popped his bum into the right car back then rather than a decade later at the end of the seventies when Alan Hamilton’s Porsche Cars Australia finally gave him the drive he deserved- the ex-VDS/Brown Lola T430 Chev F5000 and subsequently the McLaren M26 Chev and Tiga Formula Pacifics into the early eighties. 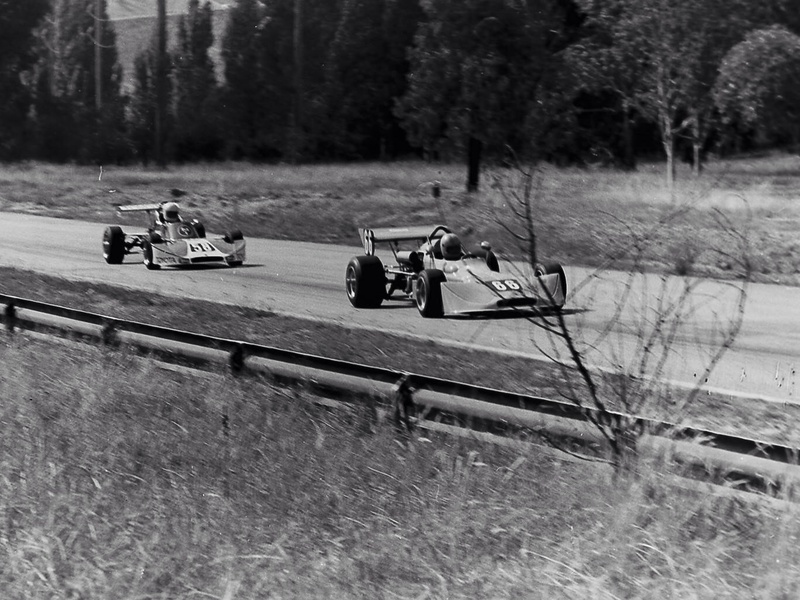 Brabham and Miedecke stepped up from Formula Ford- a Bowin P6F and Birrana F73 respectively, retaining their Grace Bros support which helped fund far more sophisticated and expensive cars than their FF’s. 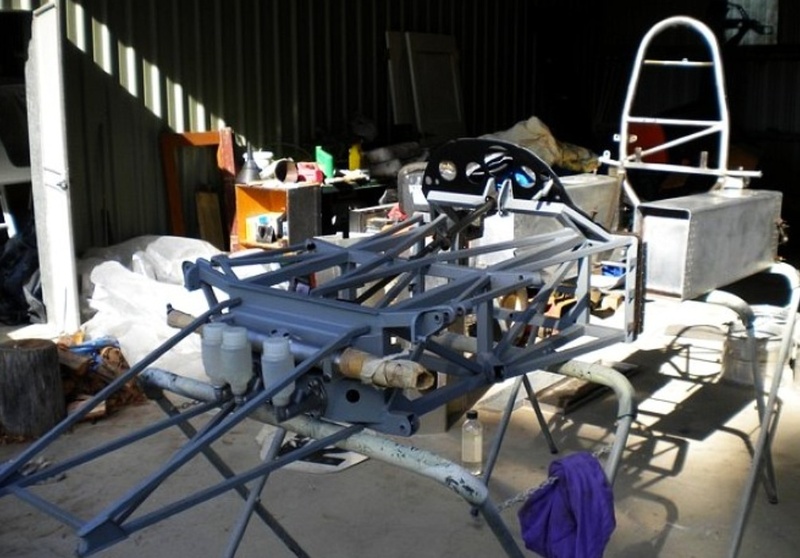 Geoff took the obvious choice in acquiring a Birrana 274- a low mileage, late build car from Neil Rear in WA whilst Andrew sought the ‘unfair advantage’ with a new Rennmax- the BN7 from Bob Brittan’s Sydney workshop. 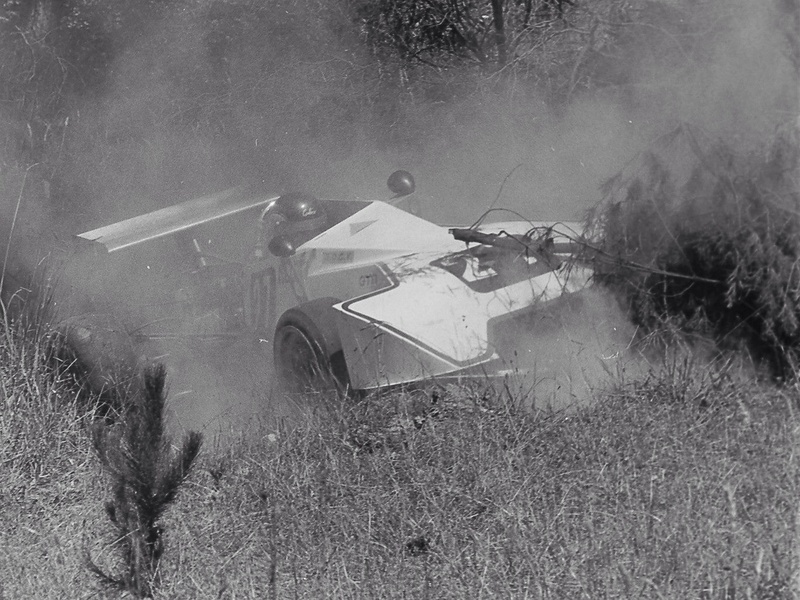 In fact it wasn’t that edgy a choice really as his car was a refinement of Doug Heasman’s BN6 which hit the track about 12 months before- the speed of which was proven by Bob Muir in one or two races in the car before he got the Brown’s Birrana ride at Enno Buesselmann’s expense. 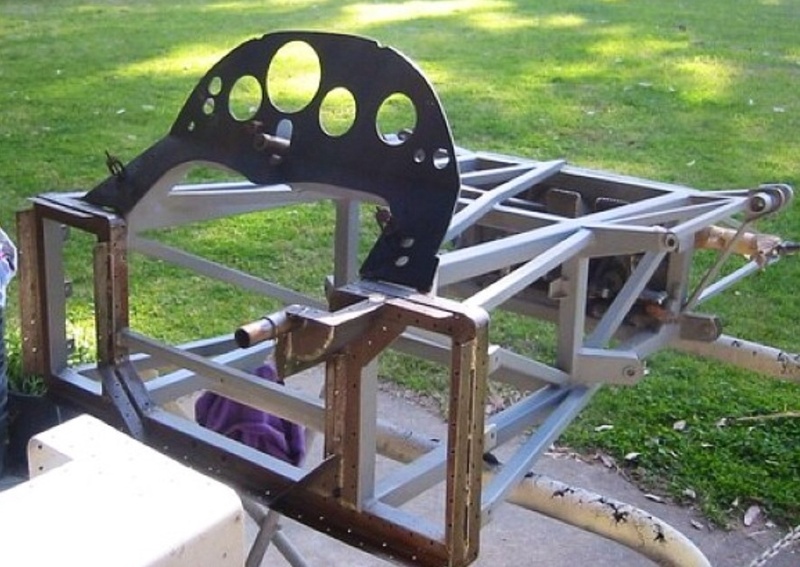 The BN7 design was different to the paradigm of the era in having a monocoque centre-cockpit section and spaceframes both front and rear- the more usual approach was an ally mono from the front ending in a bulkhead aft of the drivers shoulders with an ‘A-frame’ at the rear to carry the engine and suspension. Both the P8 Bowin and Rennmax were wedge nosed designs with side radiators whereas the Birranas and Elfins (works 622 as raced by Walker and 630) followed the ‘Tyrrell’ bluff nosed approach with a front radiator. 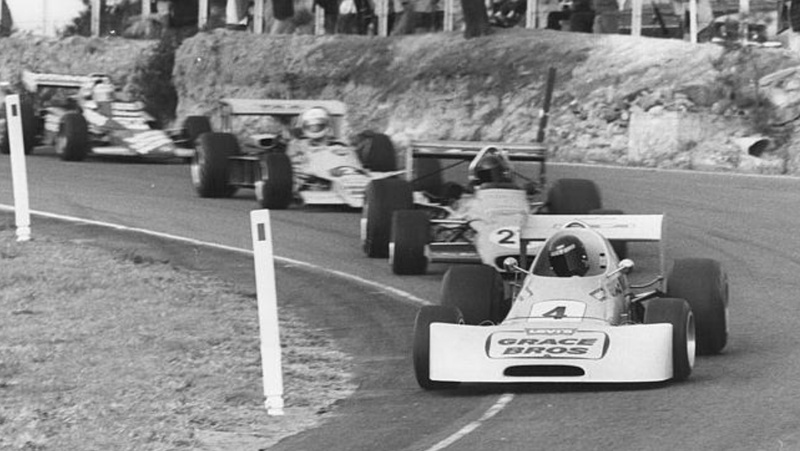 In a year of strong competition between Brabham, Costanzo and Miedecke Geoff took the title with three wins at Amaroo, Symmons and Phillip Island from Alfie with two wins- Hume Weir and Calder and Andrew, who won the first Calder round in May. Arguably the quickest of the trio was Costanzo but reliability was a little lacking on both his and Miedecke’s part. With my new drivers licence I no longer had to rely on my reluctant dad to cart me around to race meetings- I saw the Calder, Sandown and Phillip Island rounds that season and well recall a chat with Geoff and Peter Nightingale, his mechanic/engine builder, after the final ‘Island round in late November which Brabs won in fine style. He had his ‘tail up’ in his modest way and was looking forward to taking on the world in Europe. Interest was added to the series with lady racer Sue Ransom doing some events in Leffo’s Bowin P8 Ford/Hart- I pissed myself with laughter watching him pop her Willans six-pointer on at Calder, he was far more judicious with the crutch straps than he would have been with a fella. In those days the two lady-quicks were Ransom and Christine Cole/Gibson, I always thought it a shame Sue didn’t race the Bowin for longer than she did. 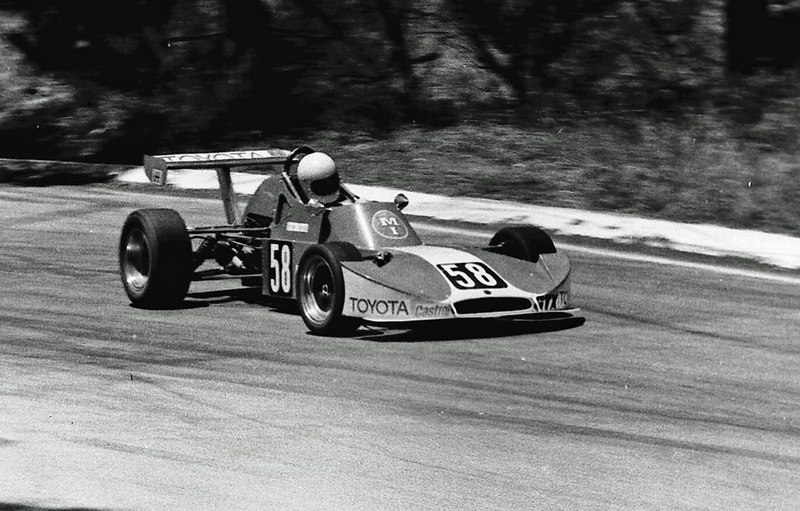 Leffler himself did a round or two in Paul England’s Brabham BT36/Dolphin in amongst his Bowin P8 Chev F5000 commitments- the Brabham/Dolphin was also raced a couple of times by Tony Stewart- a talent lost. Other drivers who added colour were Ken Shirvington, Chris Farrell, Enno Buesselmann, Doug MacArthur in the Lola T360 Bartlett and Lawrence had ‘guested in’ the year before when it was imported and owned by Glenn Abbey- and Ray Winter still pluggin’ away in The Yellow Sub, albeit substantially modified by Mawer Engineering. The quicker of the 135bhp ANF3 cars (1.3 litre, SOHC or pushrod engines on carbs) could always give an average driven 205bhp F2 a run for its money, dudes like the two Brians- Shead and Sampson, Paul King, Peter Macrow and Dean Hosking to name several who extracted all these little cars had to give. I’ve no idea who the ace felling a ‘pine plantation’ at Hume Weir is, I’m intrigued to know? Ditto the car. What about the career trajectory of the 1975 F2 protagonists you ask? 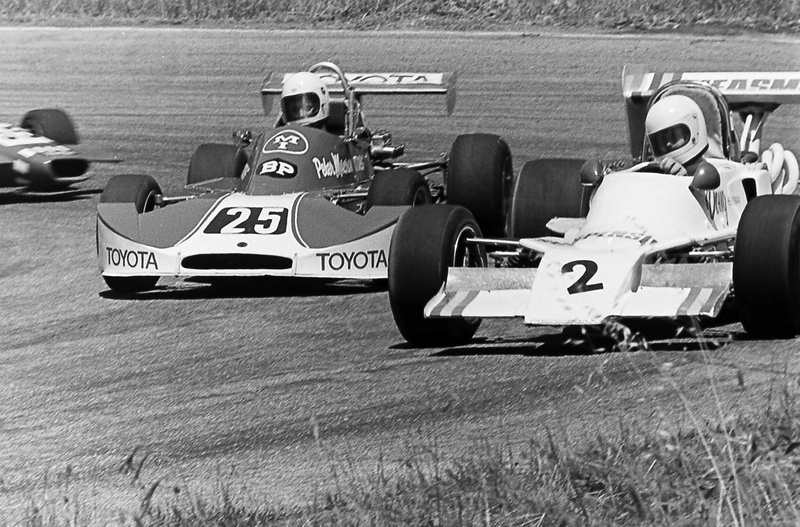 Miedecke did another F2 year in the BN7 in 1976, Costanzo acquired a Lola T332 F5000 and was immediately quick in it against the established 5 litre aces whilst Brabham headed off to Europe for a couple of Ralt RT1 Toyota F3 seasons before launching his pro-career in the US. Another ripper well researched article Mark , thankyou for all your hard work ! , Brian . An easy one as it’s a sweet spot of my interest- always loved these cars, big mistake on my part 15 years ago not buying the ex- Leo G machine when Noel Robson was selling it. I looked twice but hung out for an RT4, a mistake in hindsight! Birrana would have been better for me. I’m intrigued by your comment “the Van Heusen money ended up supporting ‘taxis’ in 1975”. I can’t recall a Van Heusen Touring Car series, but I do remember my that first ever Calder meeting (in early ’75) included the opening round of the Van Heusen Formula 2 Series. Following this up in the relevant issue of Australian Competition Yearbook, I see that Bob Jane managed to talk the clothing company into sponsoring his new Calder / Hume Weir F2 series rather than have a second year supporting the AF2C. Confusingly, some of the rounds of the former were also rounds of the latter. I cannot however, find any record of a Van Heusen Touring Car series. Interesting that bit of history. Oran Park went with the Toby Lee Sports Sedan Series in ’75 (and beyond?) I don’t know if that is another brand of shirts from the same company who made Van Heusen or another competitor company- whatever the case OP went that way and the F2 Series missed out, whilst noting your comments about Bob Jane Calder/Hume Weir. 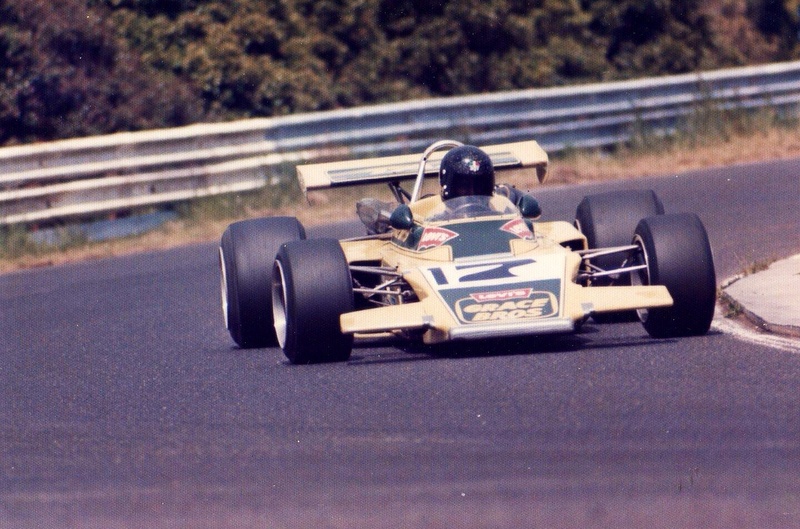 Shame as that ’74 F2 was really something. The link in all of this is Hans Tiepermann, a Jewish rag trader who was a buyer for Grace Brothers for many years (and McDowells before that) and was a real motor racing enthusiast. He bought men’s shirt makers Toby Lee and Van Heusen into motor racing as well. 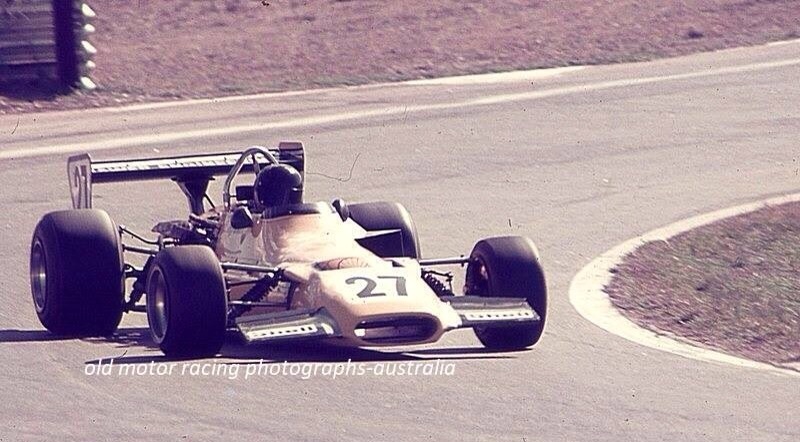 I recall the late Graham Howard’s excellent feature on the 1974 Van Heusen F2 Series for Motor Racing Australia back in 2003. Graham tried to locate Tiepermann for his input to the article but to no avail. I understand that Tiepermann was sadly killed in a car accident in 2014. His significant contribution to Australian motorsport is largely forgotten unfortunately. Another interesting element, and a key one as he was ‘Team Manager’ for Grace Bros Racing wasn’t he. 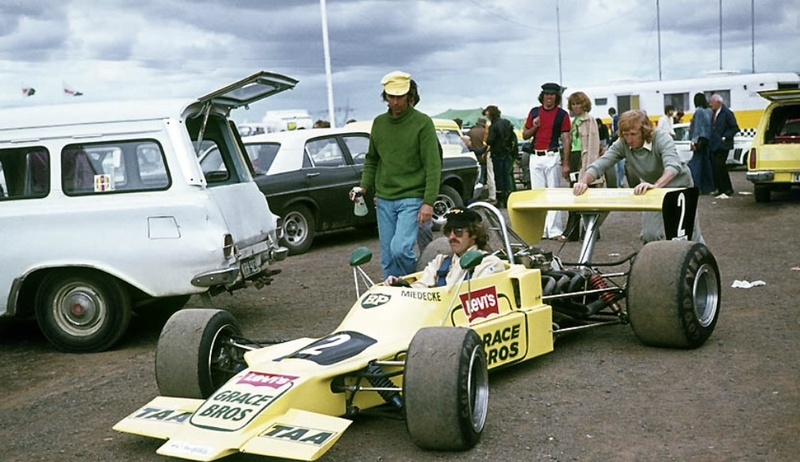 By the time I became interested in racing GB were ‘the team’ with support from FF to F5000 and Tourers as well, as you say his role is not well recognised now, but should be. I don’t have that Graham Howard article but am keen to read it- I’d love to do a big piece on that year but the photos are key and they are not plentiful on that season sadly! For info Hans Tiepermann died in November 2013.